Random House UK distributes all over the world, but you will have to place an order for the book in your local bookstore, otherwise it won’t get to where you are. You can go to a big bookstore in your city (bigger ones will be more likely to do this for you) and ask them about my book. If they don’t have it in their catalog, you can ask them to add it and order/import the book for you. It should take a few weeks to arrive. Then you can pay the bookstore for the book. The more people asking to import The Lost Boys Trilogy, the more chances you have for the bookstore to want to import my book and leave it at display for sale in your region. So ask your bookstore for The Lost Boys! Another way is to ask your local library to order the book and have it in their catalog, the more people asking, the more chances you have for your library to request the book. Dead Anyway: A comicbook Anthology! (with 01 short comics participation by L.Carmine) also available at Itunes! Publicado pela Ed.Abril (Selo Revista Mundo Estranho), uma coletânea de contos de ficção com 10 autoras fenômeno do Wattpad Brasil, Lilian Carmine participa com um conto Sobrenatural nessa antologia. O livro já está a venda nas bancas e livrarias do Brasil! Hi, I saw this book cover on xdonotmicrowavex’s twitter account and the cover looked really interesting. Do you have sample chapters? 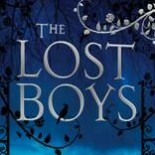 Hi Zully, yes, I have the first 6 chapters of The Lost Boys at Wattpad (http://www.wattpad.com/story/31469-the-lost-boys-book1-preview-teaser). hey, i was just wondering, why don’t you publish your books in indonesia? i’d really love to read your books. Hi, I’m brazilian and I’d like to know when The Lost Girl will be published here in Brazil. Thank you. I love The Lost Boys! Hi Lilian .Your books were all amazing ! Hoping Badluck will be soon available in Books Depository.